I love avocados! Their rich and buttery texture is irresistible. So when I spotted the fresh vibrant ones at Gog Magog Hills Farm Shop, I knew I just had to take them home. 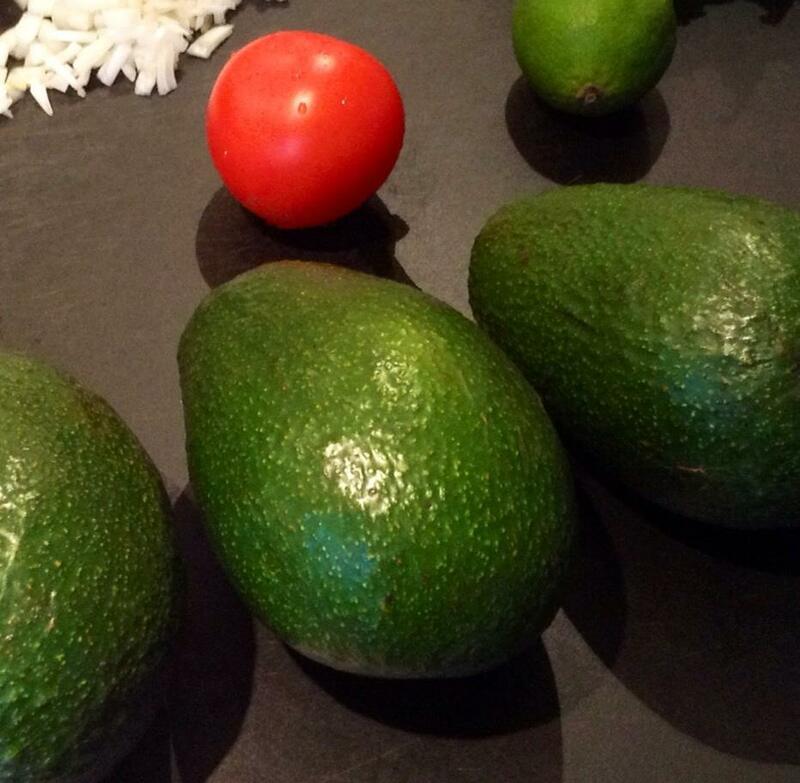 So what does one make with 3 beautifully plump avocados? Guacamole, of course! I waited a few days for the avocados to ripen. On the fifth day, I knew they were ready for my husband Paulo (aka Pabs) to get his hands on them and make his great guacamole recipe. Pabs is an old nickname of Paulo’s, from his college days (props to his buddy Ali!). I can only assume it evolved from Pablo, the Spanish version of his name. It seemed appropriate to revive this old name for this Mexican dip! 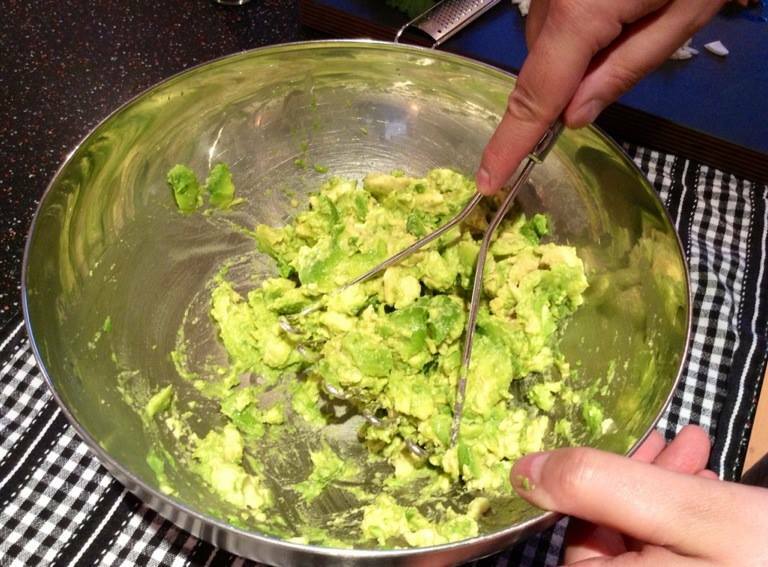 Slice the 3 avocados in half lengthwise and twist to separate. Strike the stone with the knife blade and it will lift right out (be careful!). Chop half a small onion, 2 cloves of garlic (we used smoked garlic) and fresh coriander. 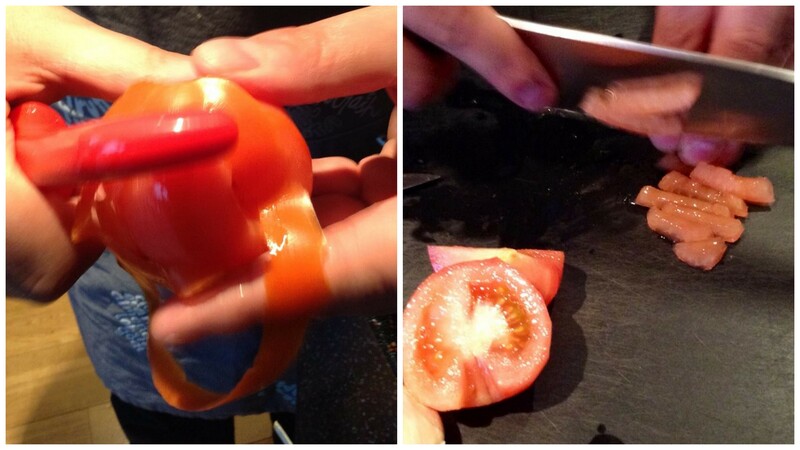 Peel a small tomato, remove the pulp and seeds, then chop. 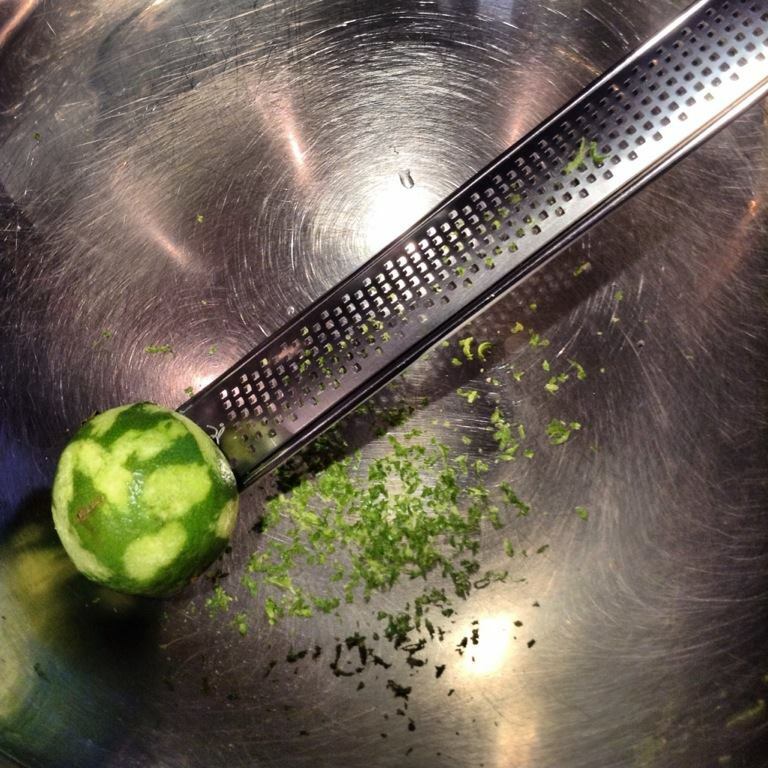 Zest a lime into a large bowl. 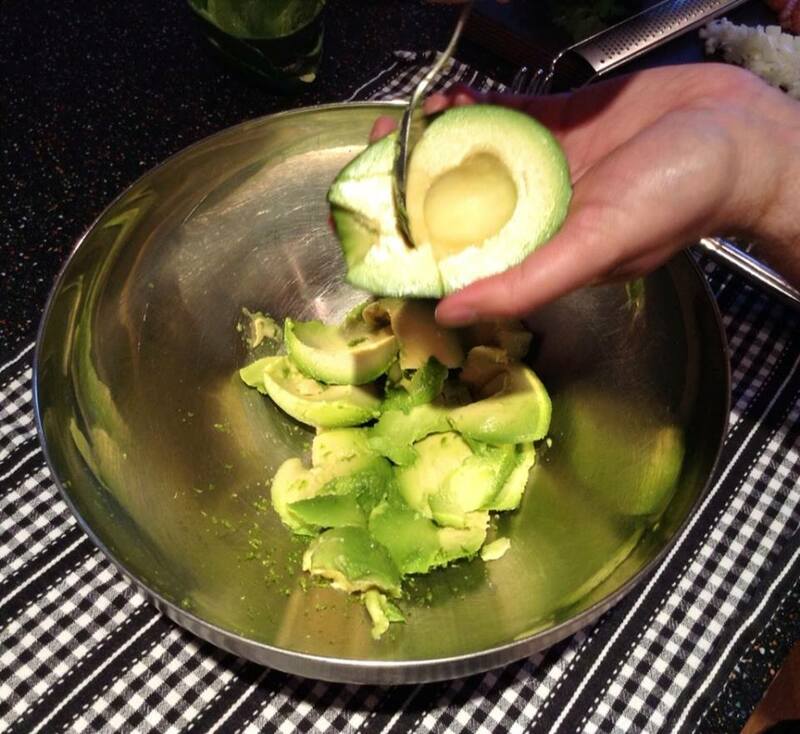 Scoop out the flesh of the avocados into the large bowl. Sprinkle some sea salt. 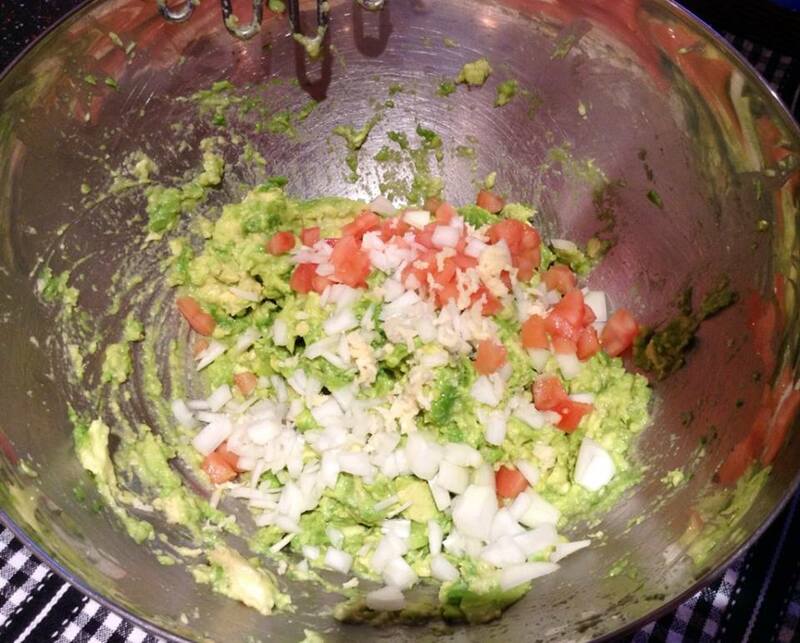 Coarsely mash the avocados, then add the onions, tomato and garlic. Only put a small handful of chopped onions as too much can overpower the other flavours. Slice the lime in half and squeeze the juice of one half of the lime into the mixture. Mix all the ingredients together with a spoon. Add 2 teaspoons of hot or mild chilli powder, according to taste. Add the chopped coriander and mix again. 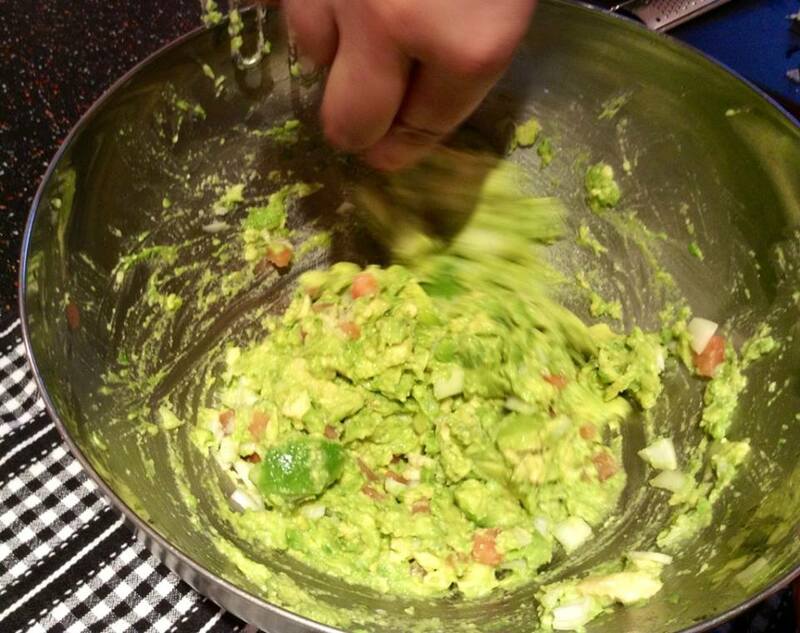 The coriander leaves enhance the flavour of the guacamole and give it a pleasing fresh taste. Spoon into bowls and serve immediately. 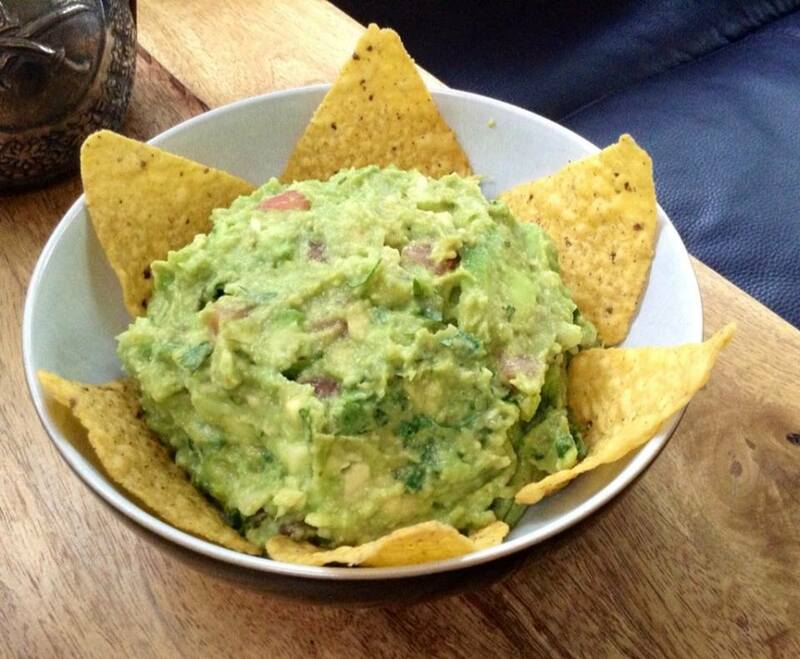 We have the guacamole as a meal, with tortilla chips. 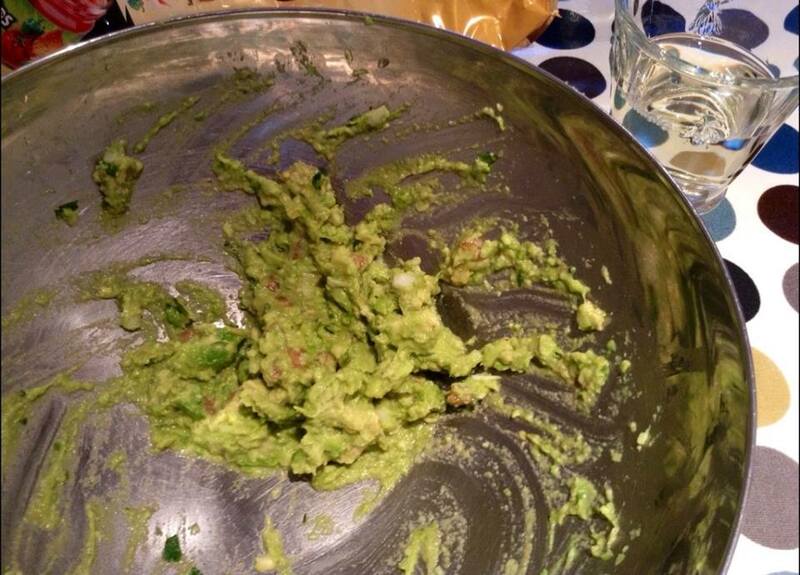 However if serving as a dip for a party, keep in mind that avocados turn brown so don’t prepare it too much ahead of time. The trick to stop it from turning brown (keeping the stones in the bowl) really doesn’t work. Cover the bowl with cling film to seal out the air as much as possible. 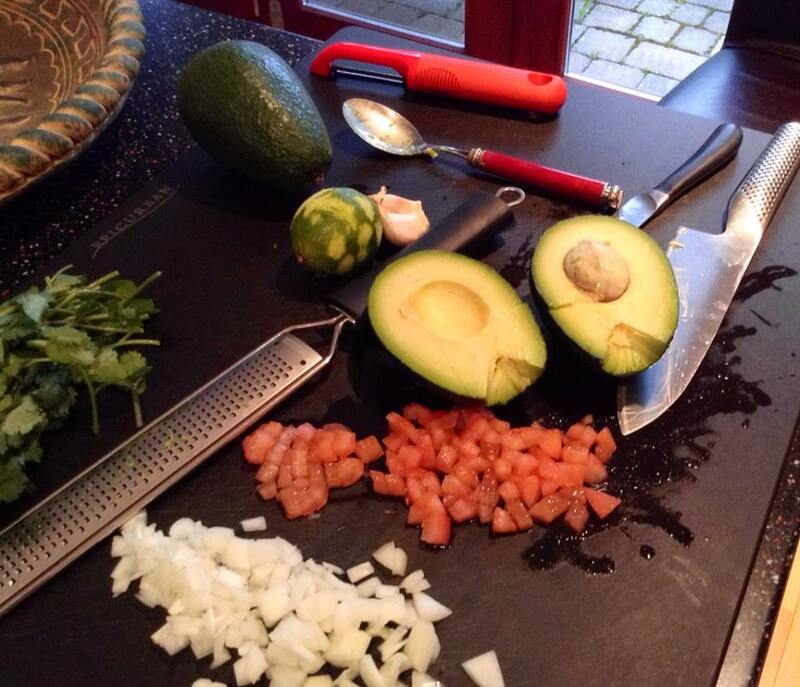 I find it best to prepare the guacamole just before the guests arrive. Enjoy the fiesta in your mouth! ¡Buen provecho! 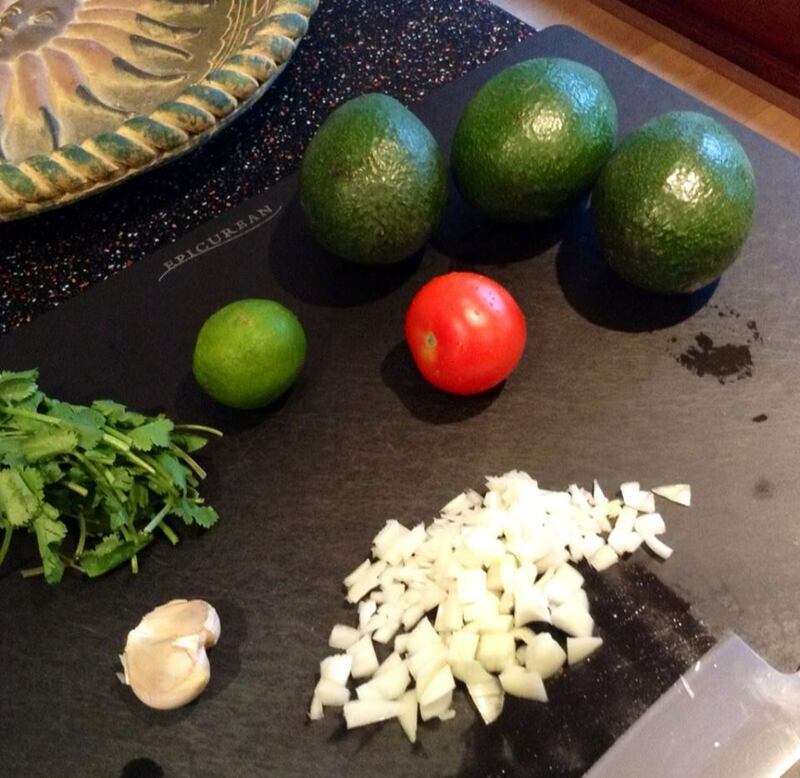 This entry was posted in Our Kitchen and tagged avocado, coriander, garlic, Gog Magog Shop, guacamole, onion, tomato, tortilla chips by One Two Culinary Stew. Bookmark the permalink. 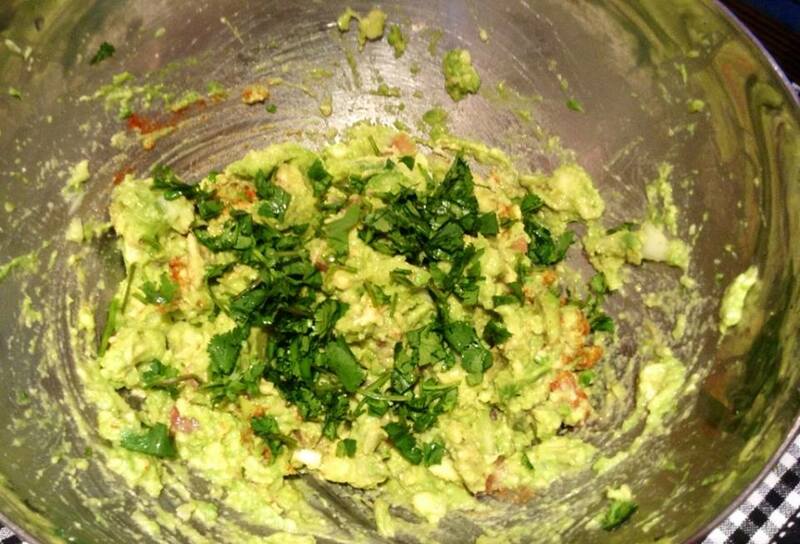 I love avocado, and it is so easy to make! 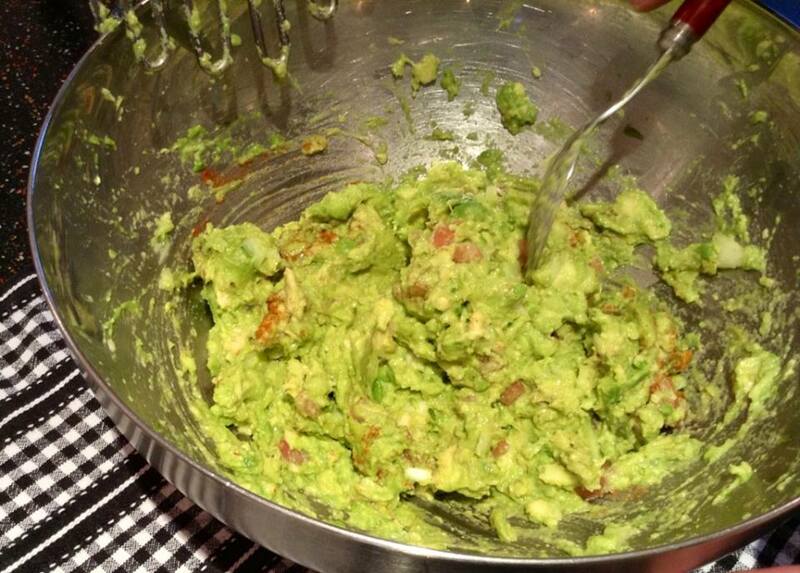 It’s really hard to buy guacamole once you’ve tried it homemade. Yours looks vibrant and delicious. Thank you. 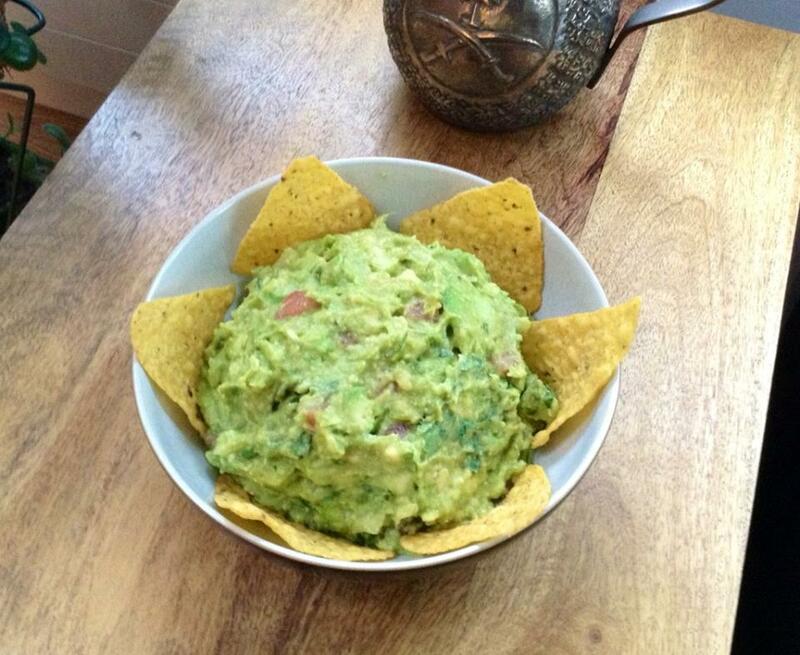 There’s just no comparision with store-bought guacamole. Full of preservatives and probably very little avocado. This looks so great! 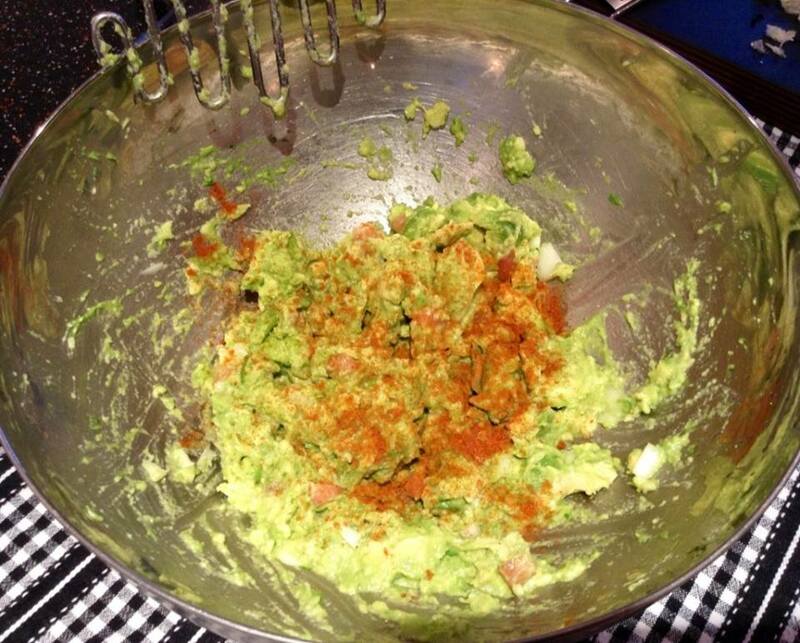 Good reminder of how easy guacamole is to make. Love the name.